On 24th November, 2016, IEEE AIUB IA-S Student Branch Chapter hosted a day-long workshop on “MATLAB & Simulink”. The workshop was held at Lab EL-52, Faculty of Engineering Building, AIUB. The goal of the workshop was to teach the basics of MATLAB and Simulink simulation to the participants. 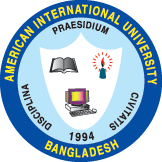 The event was inaugurated by the opening remarks from Prof. Dr. A.B.M Siddique Hossain, Dean, Faculty of Engineering, AIUB and Advisor, IEEE AIUB SB; during which he encouraged the participants to study about the simulation on MATLAB. The workshop was divided into two sessions. The first session commenced at 12:20 PM with a brief discussion about MATLAB and Simulink from Mr. Shameem Ahmad, Assistant Professor, Faculty of Engineering, AIUB. He spoke about the essentials of MATLAB software and its application in the simulation of thesis researches. He also talked about the ease of using the software for its user friendly codes. The first session included the basics of codes and their execution in MATLAB which continued till 2.30 PM. The second session started at 3 PM which mainly discussed the usage and application of Simulink to resolve engineering problems and obtain various graphs and records using it. It also included simulation of inverters and Power System Network Using Simulink Blocks. The event came to an end after the closing remarks from Chowdhury Akram Hossain, Student Activity Coordinator, IEEE Bangladesh Section; Advisor, IEEE AIUB Student Branch; Assistant Professor, Faculty of Engineering, AIUB; Special Assistant, Office of Student Affairs(OSA), AIUB. The event was made successful by the sincere participation of the students present.